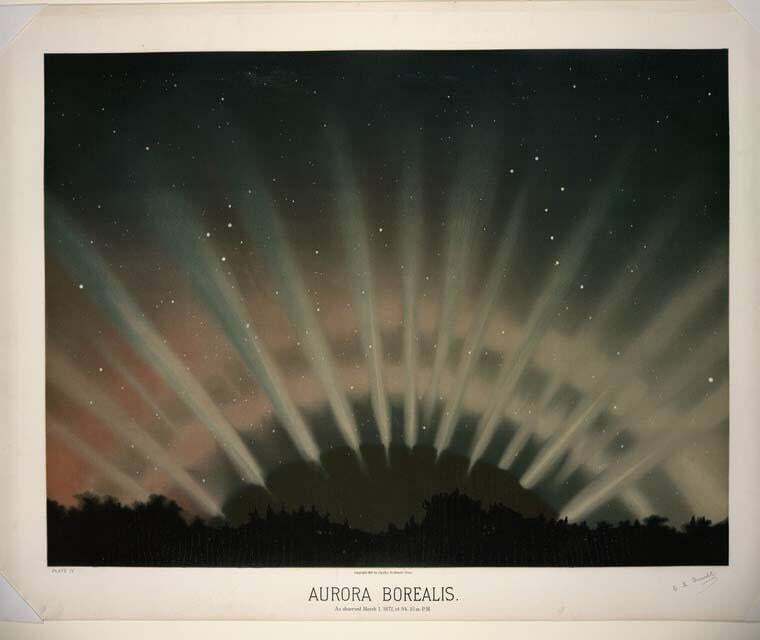 History of astronomical art: Etienne Leopold Trouvelot's drawings of celestial objects. 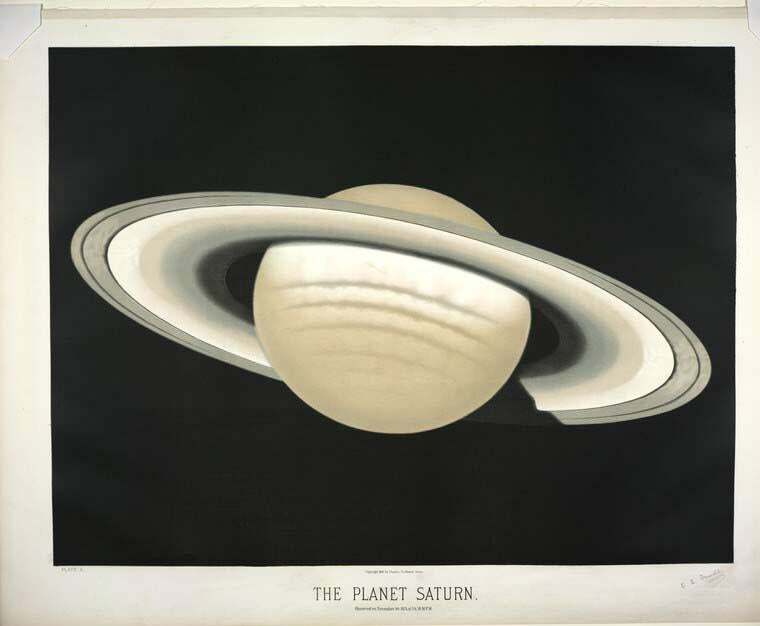 Étienne Léopold Trouvelot, a French-American artist and amateur astronomer, published these drawings of celestial subjects as chromolithographs in 1881. Trouvelot was a scientist without formal training whose primary occupation was artist, nature illustrator, and printmaker. 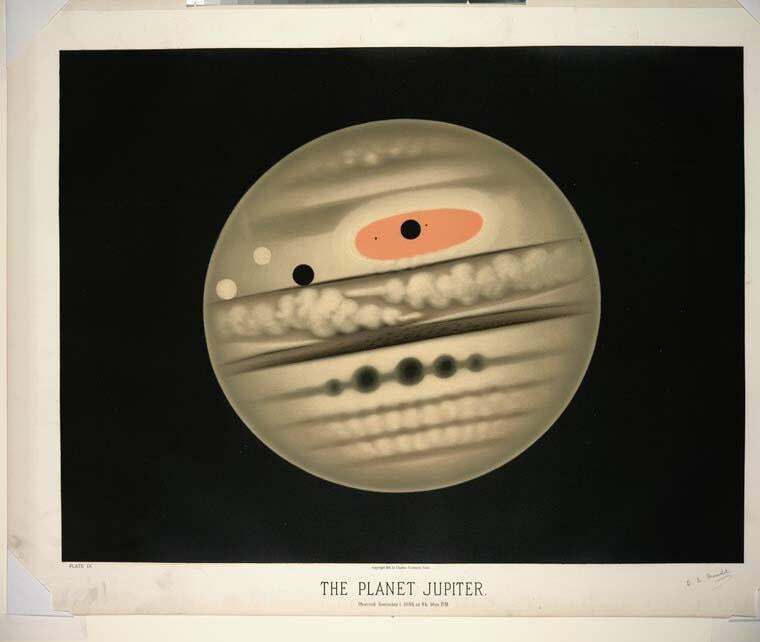 After moving to the Boston area in the 1850s, Trouvelot befriended several prominent members of the city’s scientific community, and gained access to the Harvard College Observatory by impressing the staff with some of his astronomical drawings. Using that observatory’s 15-inch refracting telescope, the 6-inch telescope at his home in Medford, Massachusetts, and the 26-inch telescope at the U.S. Naval Observatory, Trouvelot observed and sketched celestial phenomena, bringing an artist’s sense of discernment to his choice of color and composition. Historian B.G. Corbin points out that an early form of astronomical photography became available during the time when Trouvelot was working, but that the artist rejected the idea of switching media, arguing that “the camera could not replace the human eye” when it came to capturing the subtleties of structure and configuration. When Trouvelot brought the drawings to the New York publisher Charles Scribner’s Sons, to be transformed into chromolithographs, he supervised the process closely. Trouvelot’s scientific interests reached beyond astronomy. 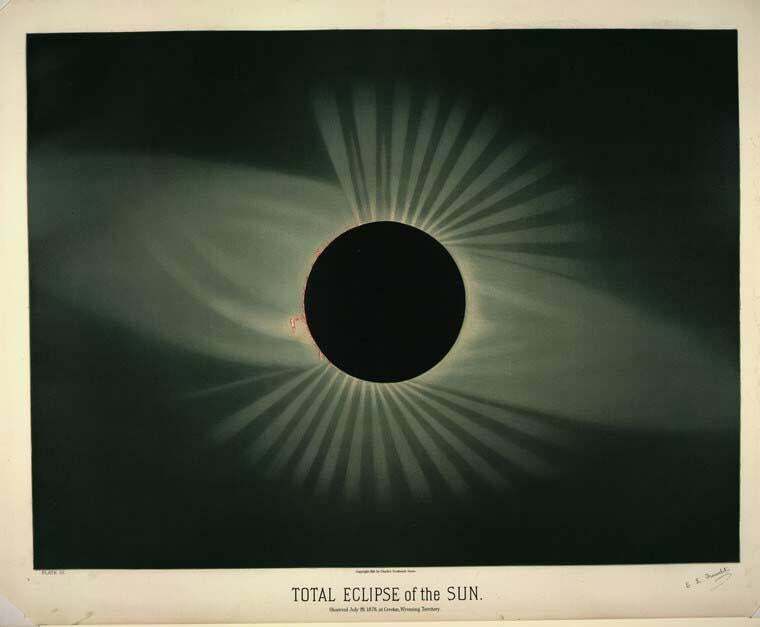 Blogger and antiquarian bookseller John Ptak writes that Trouvelot also tried to make images of electrical discharges, some of which bear strange similarities to his illustrations of sunspots. Meanwhile, the artist’s amateur interest in silkworms and sericulture had regrettably historic consequences. In 1868 or 1869, in the course of a cross-breeding experiment he was pursuing, he inadvertently let some imported gypsy moth caterpillars loose in his neighborhood, thereby earning the honor of being the first to introduce the destructive pests to the United States. “Total eclipse of the sun. 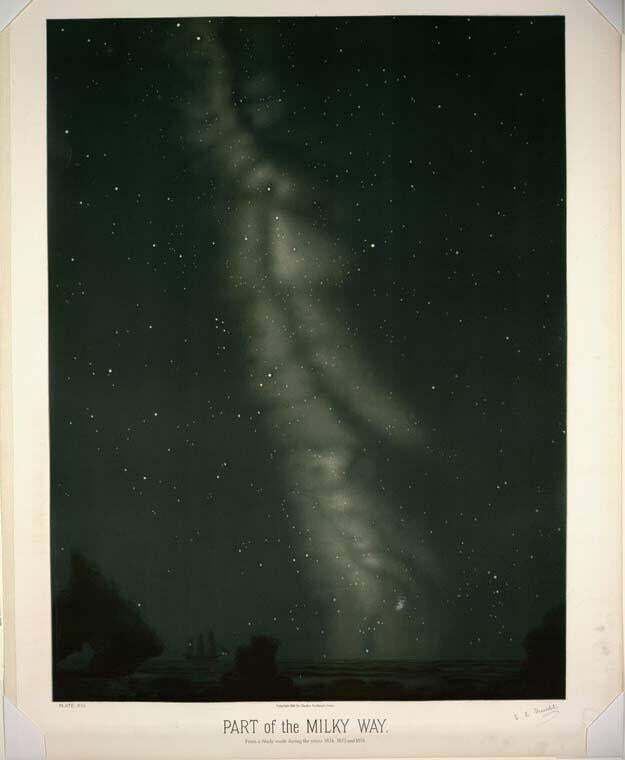 Observed July 29, 1878, at Creston, Wyoming Territory.” E.L. Trouvelot, 1881–82. The New York Public Library’s Digital Collections. “The planet Jupiter. Observed November 1, 1880, at 9h. 30m. P.M.” E.L. Trouvelot, 1881–82. “Part of the Milky Way. From a study made during the years 1874, 1875, and 1876.” E.L. Trouvelot, 1881–82. “The planet Saturn. Observed on November 30, 1874, at 5 h. 30m. P.M.” E.L. Trouvelot, 1881–82. 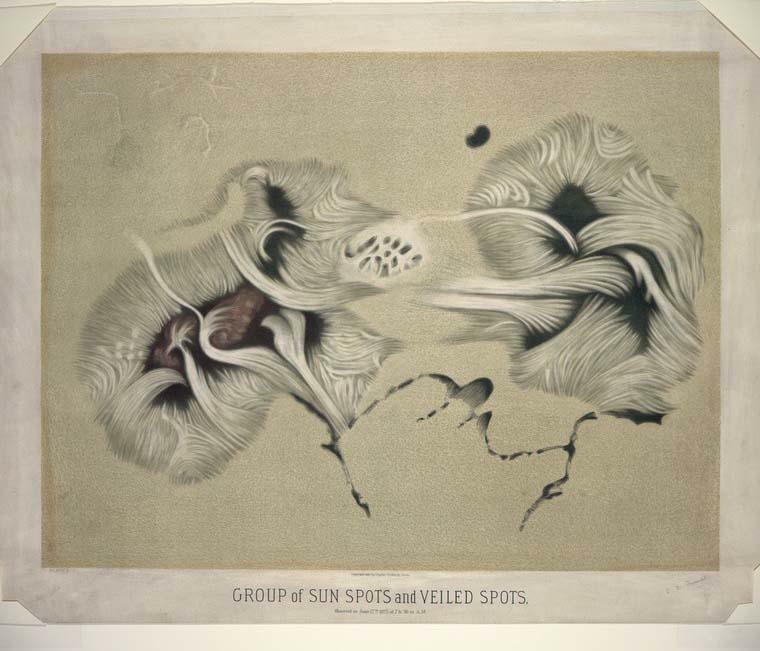 “Group of sun spots and veiled spots. Observed on June 17, 1875 at 7h 30m A.M.” E.L. Trouvelot, 1881–82.